As rock art theory has largely been refracted through western conceptual and epistemological underpinnings, it is a valuable (and timely) exercise to redirect art theory through the lens of Indigenous Australians’ geographical and cultural settings. Such a maneuver facilitates destabilizing hegemonic assumptions and premises in reference to accepted conceptions of western deities vis a vis indigenous understandings of spirituality. Questioning such normative frameworks of analysis and interpretation assists critical investigations that problematize accepted references to authority, scientific hierarchy and participation in knowledge frameworks. For reasons of brevity, this critical exploration is not to offer a comprehensive road map pertaining to all aspects of vastly complicated socio-artistic elements of Australian Indigenous society but to stimulate discussion. 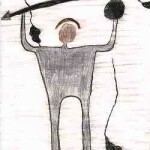 In Australian Indigenous cultures, which comprises of many different languages and cultural groups (over 250 recorded, of which 20 are well used)1, there is a common connection to land and a common worldview. Fig. 1 Mabuyu, hunting fugure, Ubirr Art site, Kakadu National Park (Photo: Marisa Giorgi). This connectedness and sense of spirituality is different from that seen through the European lens. 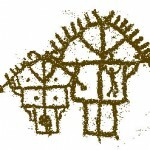 Mostly, this normative framework of analysis wants to situate the indigenous spiritual concepts within the frames of reference of our own religious concepts2 when, in fact, the Australian indigenous form of spirituality differs from the European structures and hierarchies that we are more familiar with. Of course, through modernization and colonialism, this indigenous spirituality is often viewed through a religious lens. In contrast to western notions of religion, this Aboriginal spirituality derives from the stories of dreaming, or the dreamtime. This is a spirituality connected to land and country. Thus, it is best not to use the term religion as this lends itself to the more accepted forms and structures of religion. 1 Some estimate there was approximately 700 groups before colonial times. 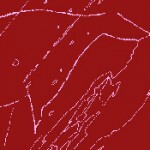 A link to a comprehensive Australian language map on the AIATSIS website: http://aiatsis.gov.au/explore/articles/aboriginal-australia-map. 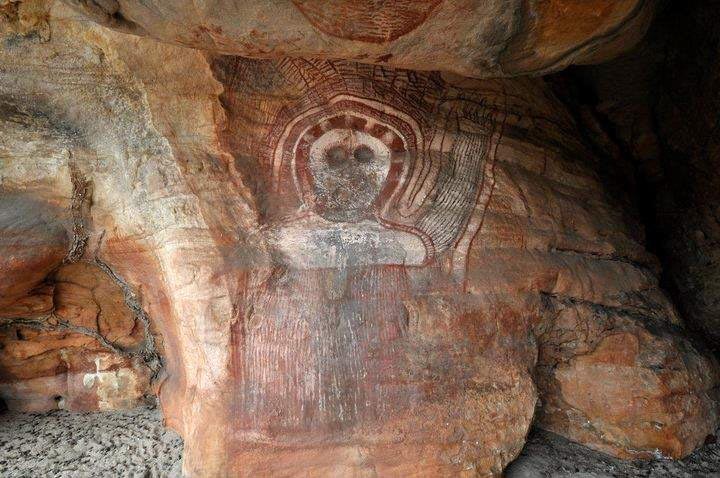 Rock art plays a vital role in Australian indigenous spirituality when viewed from the indigenous perspective as a timeless binding link of a people and their spiritual ancestors; between the ongoing living culture and their mythologies that stretch between these two temporal poles. It is an essential ingredient of life with both psychological and ritual values and is not created for mainly art sake as in contemporary Western culture. Importantly, rock art is not representational of the spirits themselves but encapsulate the spirits and time itself, the dreamtime. In essence, the spirituality depicted throughout the art is extended and replenished, through ritual and mythology. Crucially, all these facets are part of the whole and need to be taken as such, rather than fragmented into the static representations on rock, broken up for the purposes of study and analysis. 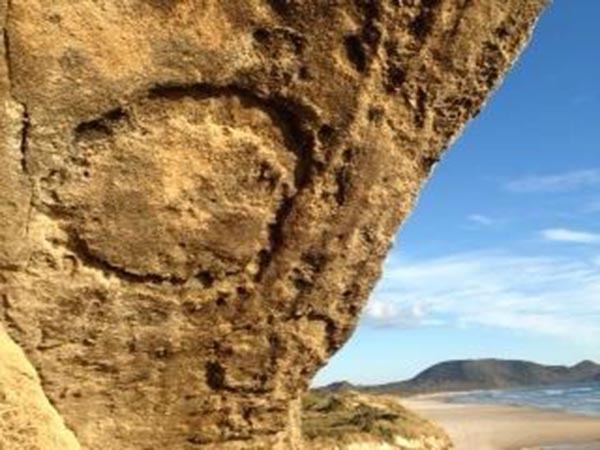 As such, concentrated along the escarpments, gorges, and rocky outcrops throughout the continent, the art sites are tangible evidence of the close personal relationship of Aboriginal people with their land and their ongoing spiritual heritage. Evidence of this, is that the knowledge associated with many art sites has a number of levels. 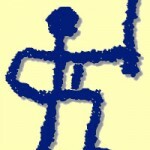 Younger people and balanda (non aboriginal people) are told the first level; known as the public story (Flood, 1999: 28). Access to the full story depends on an individual’s progression through ceremonial life, their interest and their willingness to take on the responsibility that accompanies that knowledge. These rituals, which are conducted through indigenous frames of reference, point to a connectivity that, for instance, is not fully acknowledged in site management plans, thus pointing to deeper epistemological collisions between western and non-western knowledge frameworks. Fig. 3 Side panel (northern face), North West Coast of Tasmania Photo: Marisa Giorgi). According to indigenous Australian beliefs all life as we know it today, human, animal bird and fish, are part of a constant interconnected system, one vast network of relationships, which can be traced to the Great Spirit Ancestors of the dreamtime. Some spirits came from the ground or sky, others from distant islands. 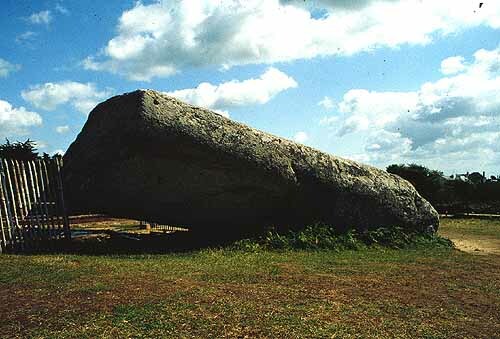 The Creation Time is the time when the Creation Ancestors were travelling across the landscape. The tracks left by the Ancestors are known as dreaming tracks. 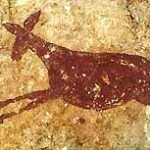 The rock art often is considered created or guided by these spirits. Indigenous Australians recognise three types of significant sites: djang (Dreaming places), djang andjamun (dangerous, sacred Dreaming places) and ceremonial sites. 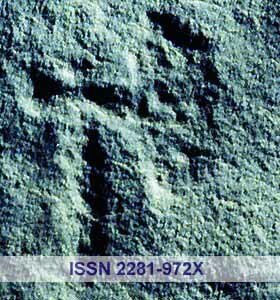 There is a predominance of animal tracks and nonfigurative motives in some areas3 while other areas boast an array of imagery from x-ray animals to complex ceremonial dances and dreamtime stories4. 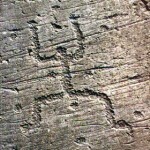 Some examples of prominent iconic themes are the rainbow serpent and the tall thin rock dwelling mimi spirits that feature extensively in stories (Taçon, 2005: 40), as well as a myriad of other beings and symbols. In some areas, the artworks are sometimes repainted, but only by those qualified with the knowledge of the paintings’ stories (Rosenfeld, 1997:296-97). 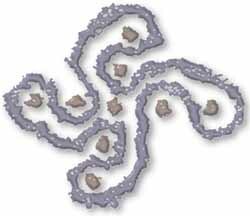 4 Some areas of Australia seemed to rely more on stone arrangements, dendroglifs and other ceremonial forms with few or no rock art sites. Repainting is a powerful act that puts a person in touch with the creation spirits or the essence of the creature being painted. Often the artist or retoucher considers that they are not the painter but more of a conduit as the spirit is guiding them to paint and to maintain the link to dreamtime and the creation stories (see fig. 1). In short, the barriers between past present and future are fluid and reveal a holistic dynamic that puts the retoucher in contact with their spirit ancestors. This temporal dynamism runs across all manifestations of the art produced. Petroglyphs, painted rock art, stone arrangements, images drawn in the sand, body art, bark paintings, even the procurement of the pigments themselves are steeped in spirituality5 , but also have transferable meanings and presence beyond the static surface. This connectivity runs across the land manifesting itself in different traditions across lengthy trade routes6, some spanning distances of 3000 km (akin to travelling from Rome to Paris and back). 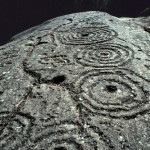 Such interlinked connectivity is also evident with oral traditions acknowledged to span over at least 7000 years7. Whilst the rock art evidence quantified by scientific research is but one aspect of proof for this spiritual connectedness, across the cultures of Australia there is a multilayered package of additional data that can be gleamed from other cultural manifestations. 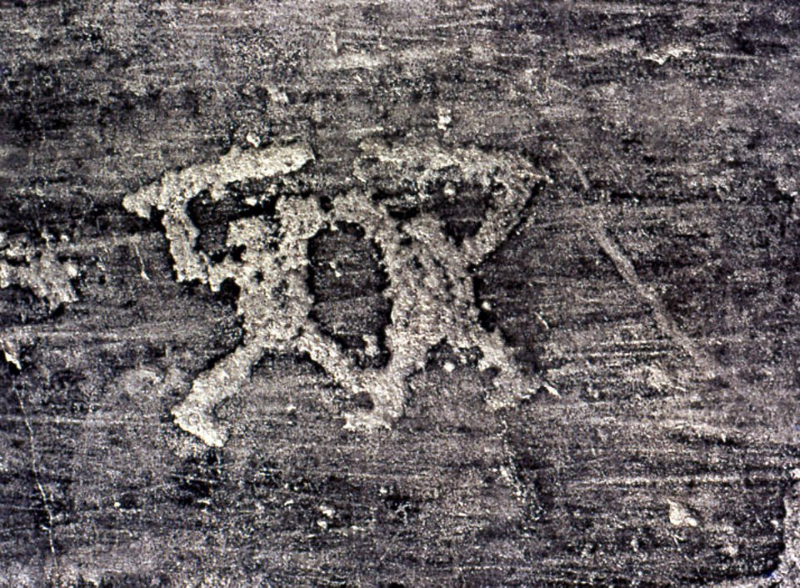 Rock art images were the multimedia tools of the time, the ‘symbolic paraphernalia, which could be distinctive or shared as an integral part of aboriginal society (Morwood, 1984 :91). 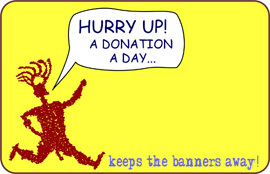 5 Vast distances with complex rituals are sometimes part of this procurement. 6 Dreaming tracks are frequently correlated with the trade routes (Kerwin, 2010). 7 An oral tradition linking the cabbage palms, found only in Palm creek, introduced there around 30000 years BP. The origins of said tree have supported an oral tradition date spanning 7000 yrs. of continuity (Bowman, 2012). In my opinion there is a devaluing of Indigenous knowledge because of an overarching monoculture of scientific knowledge that ‘makes absent’ (Santos, 2004) Indigenous forms of knowledge. Thus it is an ongoing scientific and political project to substantively acknowledge the so-called ‘non-scientific’ knowledge i.e. Indigenous knowledge, to be considered as valid. Hopefully political and discursive space is being created both inside and outside institutions for this to happen. This is not easy in the Australian context, as a monoculture of knowledge has been used as a colonial tool of dispossession8 . These epistemological and ontological concerns extend of course beyond the continent of Australia and into other spheres such as site management frameworks. For instance, how does the work undertaken by indigenous people on a site (for example passing on stories of the creation spirits, teaching about plants etc.) be quantified by indicators such as GDP and categorization of productivity in the western sense (Povinelli, 2005)? Valuing these overlooked processes and roles pertaining to spirituality beyond the narrow western framework of value would give practices and thus potentially rationalise more funding. Additionally, the use of tools such as memoryscapes9 and entanglement frameworks10 can offer additional elements to valuing, capturing knowledge and active use of it by communities. 8 As in the use of the term Bradshaw paintings instead of the correct indigenous term Gwion Gwion in scientific articles, causing offense. 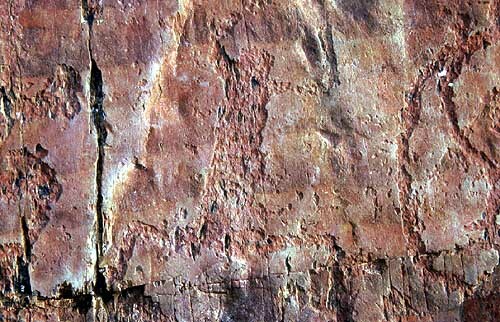 This includes questioning the dates of these paintings that are being addressed by the Rock Art Dating Project, which will assist in disproving false claims of nonaboriginal origins for the art. 9 “Memoryscapes” is a contemporary term used to describe the process of building on a location’s cultural meaning by utilising known cultural context of similar locations to integrate themes into the location’s cultural constellation construct. (Ross et al., 2013). 10 Despite attempts to incorporate Traditional Owner attachment to heritage into policy and legislation, most formal approaches to cultural heritage management still privilege materiality over social and spiritual connectedness (Hodder, 2012). 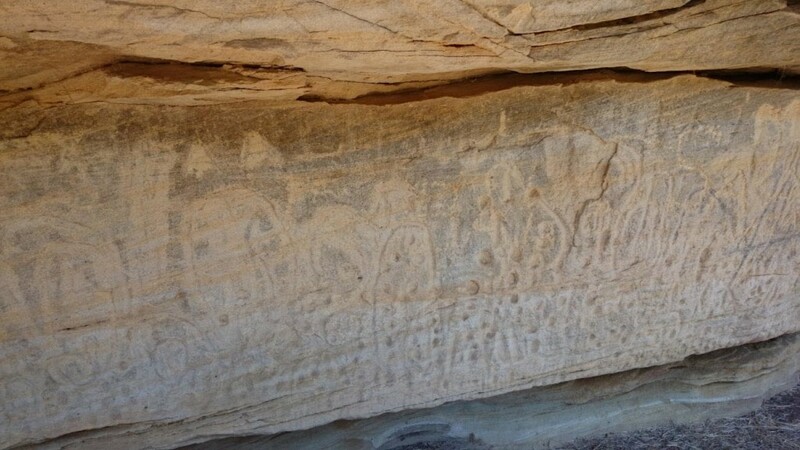 Australian Indigenous communities have a contemporary vested interest in the protection of petroglyphs and rock art in regards to identity, current cultural significance and economic interest for tourism. 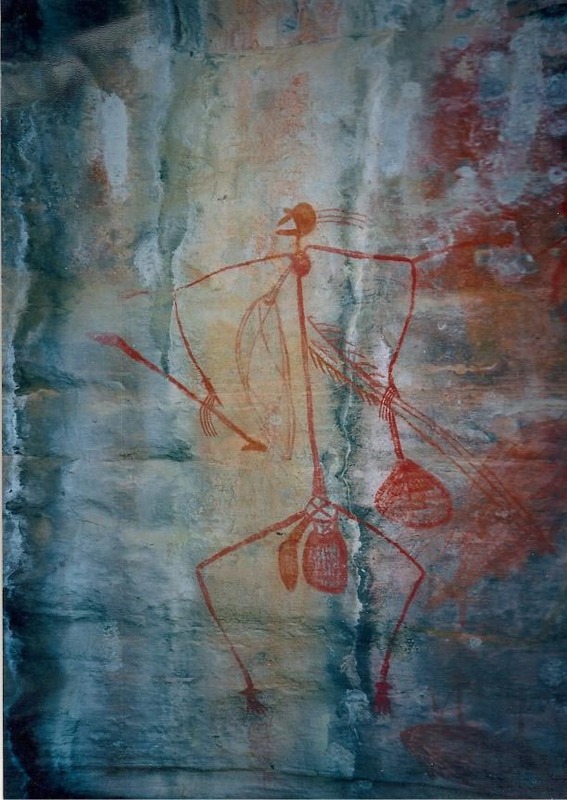 Natural, economic and cultural forces are negatively impacting on Australian rock art sites. 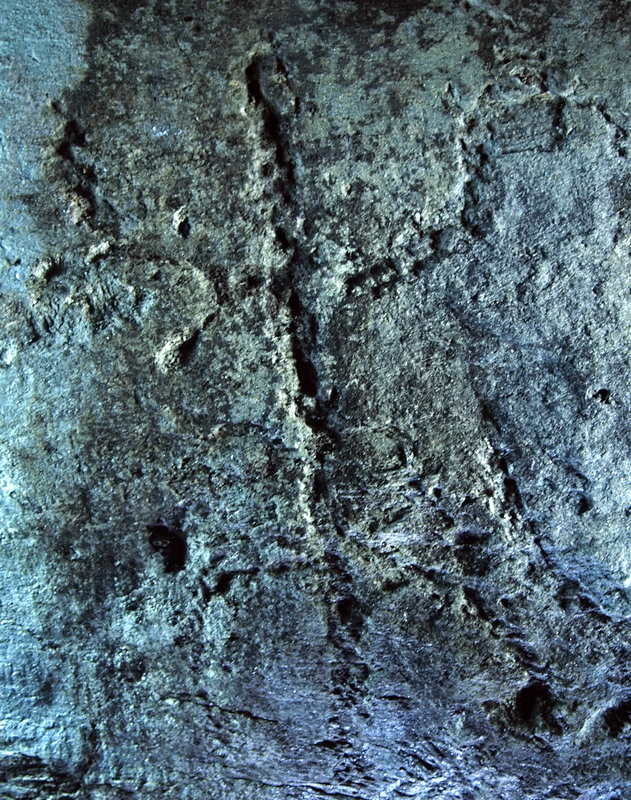 Government valuing of rock art is not a strong focus, especially when it comes to investing in research and protection. 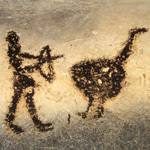 Australia’s rock art, even though it often features prominently in promotional propaganda about Australia11 does not attract the levels of funding expected. 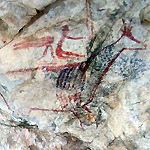 Rock art sites are museums and art galleries embedded in natural landscapes, with ongoing cultural connection for contemporary Indigenous peoples (Taçon, web). The Indigenous Australians as a whole are not averse to access and study generally but are seeking control of their own heritage; access on their own terms and this includes their own interpretations of spirituality12. 11 As in the recent G20 summit in Brisbane in 2014, and featuring heavily in tourism such as the 2000 Olympic Games. 12 As has been partially achieved at Uluru where the traditional owners, the Anangu and the Piranpa are celebrating 30 years of the hand back of their lands via a joint management agreement. 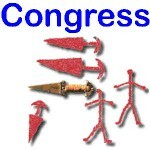 This is despite recent government discussions that were non-consultative. Bowman, D. M. J. S., Gibson, J., Kondo, J. (2012). Outback palms: Aboriginal myth meets DNA analysis. Nature 483: 248. Crawford, I. M. (1968). 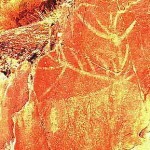 The art of the Wandjina: Aboriginal cave paintings in Kimberly, Western Australia. Oxford Unifersity Press:Melbourne. Flood, J. 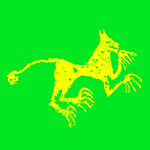 (1999). The Riches of Ancient Australia: an indispensable guide for exploring prehistoric Australia. University of Queensland: Melbourne. Franklin, N. (2011). 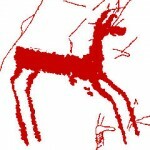 Rock art in South Australia: Analysis of Panaramitee traditional engravings and paintings. 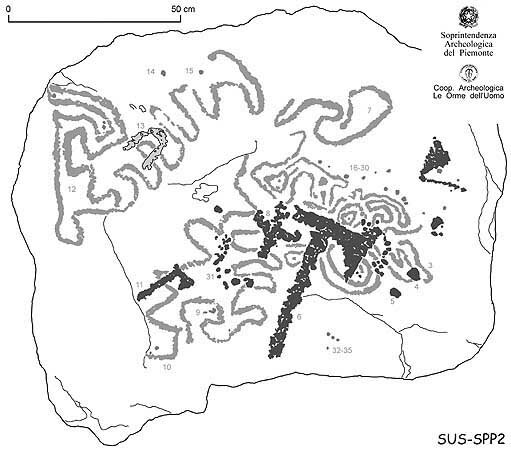 Journal of the Anthropological Society of South Australia 34, June: 56-89. Hodder, I. (2012). Entangled: an archaeology of the relationship between humans and things. Wiley. London. Kerwin, D. (2010). Aboriginal Dreaming Paths and Trade Routes: The Colonisation of the Australian Landscape. Sussex Academic Press: Brighton. Morwood, M.J. (1984). The prehistory of the Central Queensland Highlands. Advances in World Archaeology. 3: 325-380. 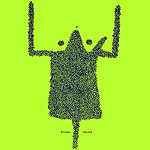 Povinelli, E. (2005). ‘Do Rocks Listen? The Cultural Poltitics of Apprehending Australian Aboriginal Labor’. American Anthropologist. 97(3): 505-518. 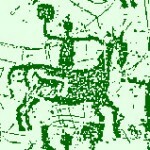 Rosenfeld, A. (1997). 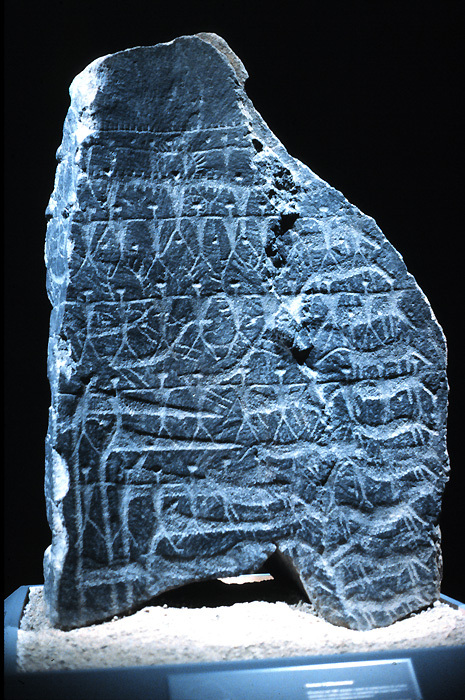 Archaeological signatures of the social context of rock art production. 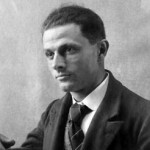 In M. Conkey, O. Soffer, D. Stratmann, N.G. Jablonski (eds.) 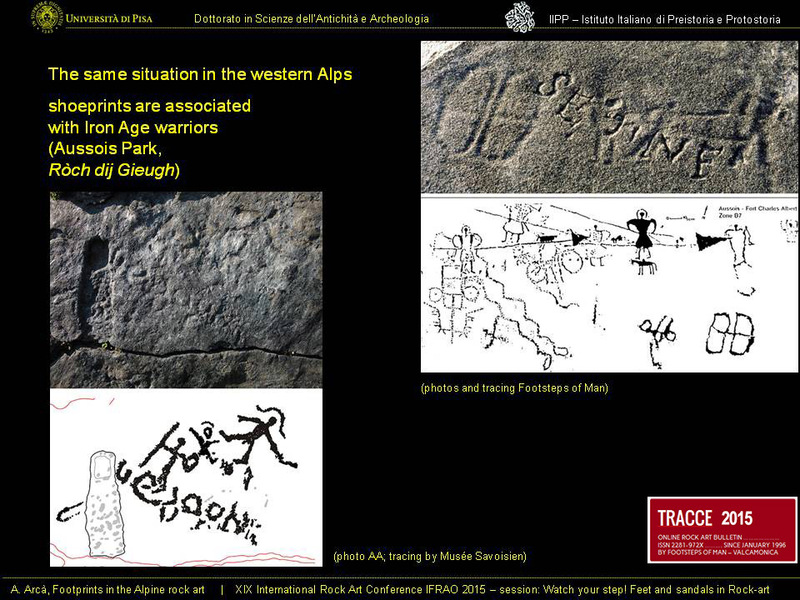 Beyond art: Pleistocene image and symbols. Wattis Symposium Series in Anthropology (Book 23). University of California. 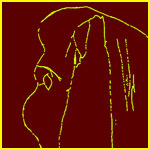 Ross, A. Ulm, S., Tobane, B. (2013). 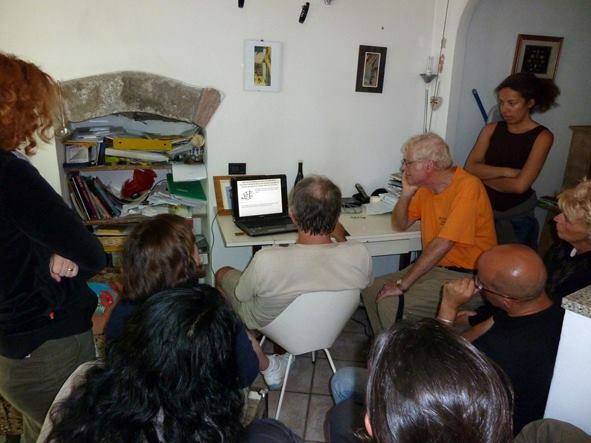 Gummingurru a community archaeology journey. Australian Archaeology 76: 62- 69. Santos, B. D. S. (2004). 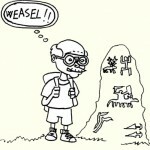 A critique of lazy reason: against a waste of experience. In I. Wallerstein (ed) The modern world-system in the long duree. Paradigm: Boulder, Colorado. Taçon, P. (2005). The World of Ancient Ancestors: Australian Aboriginal Caves and Other Realms in the Rock. Expedition. 47(3): 37-42. Taçon, P. (2014). 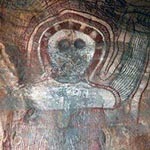 Australian rock art is threatened by a lack of conservation. The Conversation. 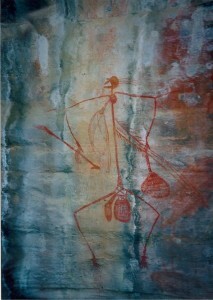 Available at: http://theconversation.com/australian-rock-art-is-threatened-by-a-lack-of-conservation-32900. 17.10.2014 Access date 7.7.2015.